GreenWorks Pro 80V System offers a range of commercial grade tools for the professionals and those who just want more power. 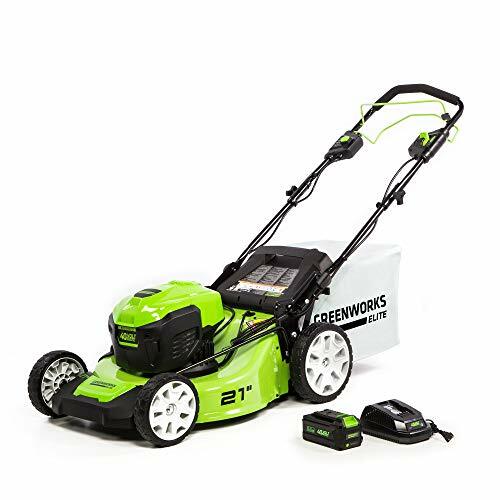 This 21-inch cordless self propelled lawn mower features a durable steel deck, large 10-inch rear wheels, and Smart Cut(TM) load sensing technology. Self propel for less user fatigue. It has a single lever height adjustment and 3-in-1 operation for mulching, bagging, and discharging. 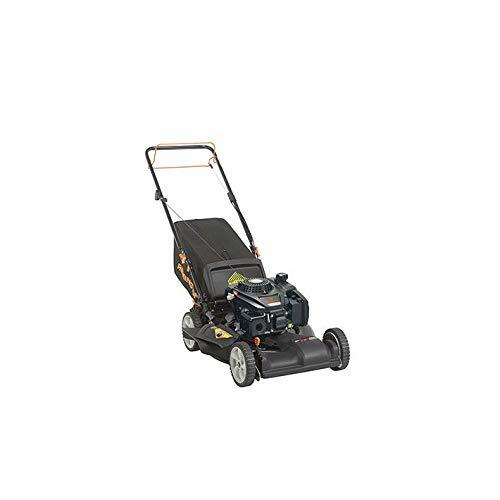 Designed for durability and heavy duty jobs, it features a brushless motor that delivers the power and performance of a 160cc gas engine. 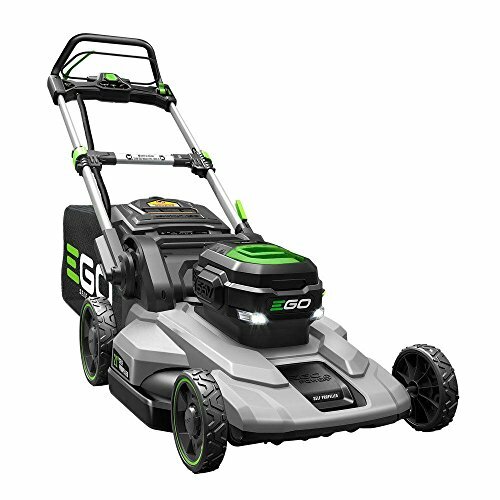 With an extra battery on hand, you can now rip through grass in the neighborhood without the hassle of gas. Compatible batteries currently include a 2ah (model GBA80200) and 4ah (model GBA80400) battery and rapid charger (model GCH8040). The 2ah battery charges within 30 minutes so you can get back to work and finish that job. The 4ah battery charges within 1 hour. GreenWorks GMAX 40V System offers a wide range of easy to use tools for the homeowner and those who just want more power. 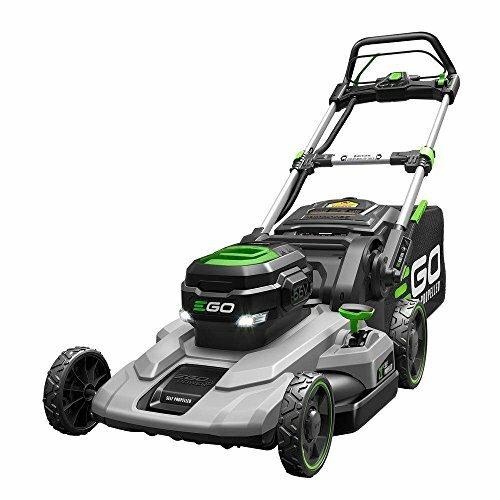 The G-Max 40V 21'' Brushless Self-Propelled Mower offers the first self-propelled lawn mower to the G-MAX 40V family of tools. 40V Greenworks Tools, our battery fueled outdoor power equipment is ideal for homeowners who want the perfect outdoor space. Our 40V is best for yards up to ½ acre. This universal 40-volt battery system powers more than 50+ products, that is over 50 products that run off the same 40V battery. Having multiple batteries allows you to be using one, charging one, and you’ll never run out of power. The Greenworks family of 40V tools has more outdoor equipment in our platform than any other manufacturer. Our tools provide powerful performance with plenty of runtime to get any job done quickly, efficiently, quietly and all with no emissions. 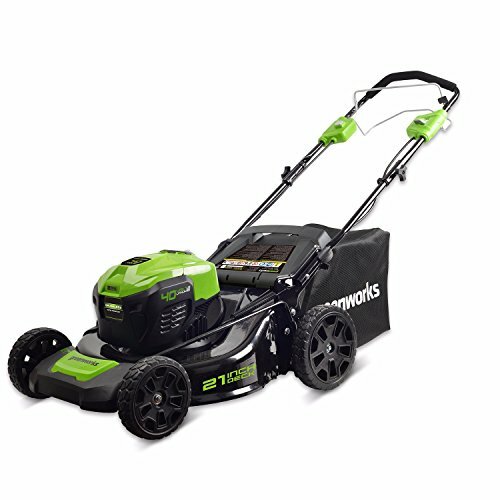 Greenworks’ high quality equipment has a quick push-button start, light weight, easy to use and uses no gas. 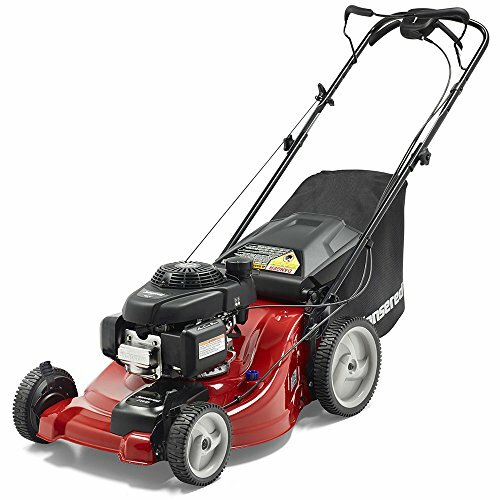 Lawn mowers, string trimmers, blowers, and much more. Greenworks, Life gets Easier. 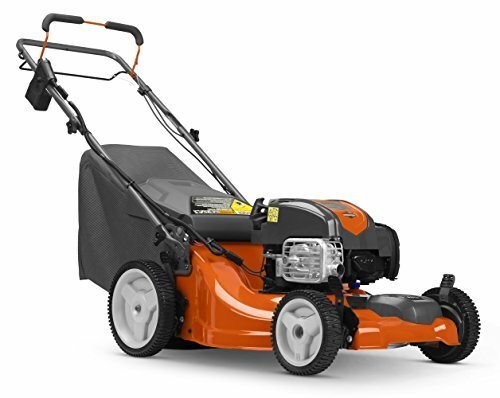 Clean up your lawn in no time with the Remington RM210 Pathfinder 159cc 21-Inch FWD Self-Propelled 3-in-1 Gas Lawn Mower. 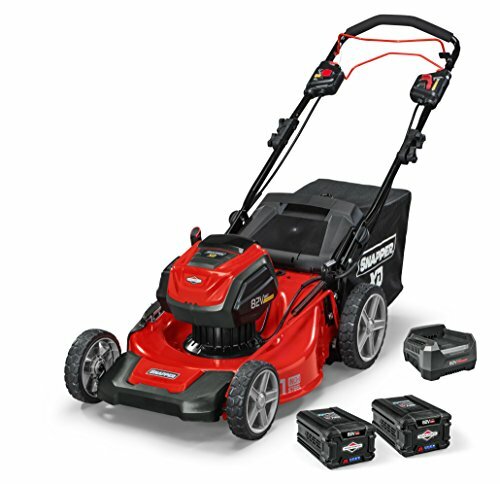 This gas-powered lawn mower features a durable 159cc OHV autochoke engine and 21-inch cutting deck, so you can mow wider swaths of grass with fewer passes. With 3-in-1 discharge capabilities, the mower expels clippings from the side or bottom, or into the bag without clumps, thanks to the innovative SureCut blade that lifts and circulates as it cuts. Equipped with dual-lever 6-position height adjustment, you can choose the best grass height for your lawn. The adjustable handles and comfort grip allow you to easily stand up straight while mowing, preventing hand and back pain. 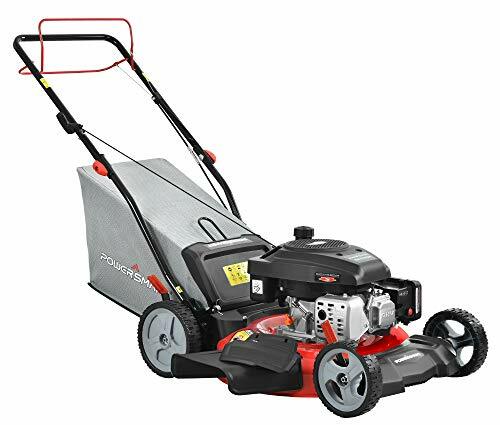 Featuring durable 8-inch front and rear wheels and variable speed front wheel drive, you can rest assured that the sturdy mower can tackle uneven terrain. 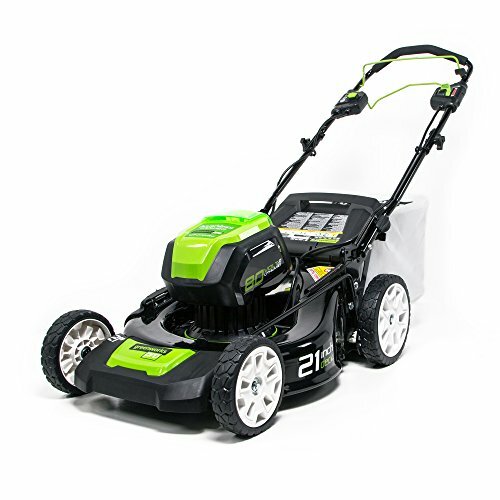 The mower includes a 2-year limited warranty to ensure satisfaction. Measures 38"L x 24"W x 18"H.